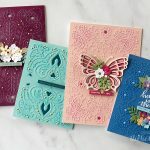 Hello, Spellbinders fans! 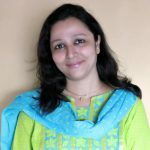 This is Hussena Calcuttawala, from Quill and Punch Works, and I am beyond thrilled and honored to be a guest blogger today on the Spellbinders blog. I am here to share five projects that I’ve made with the absolutely glorious, Vintage Treasures Collection by Becca Feeken. 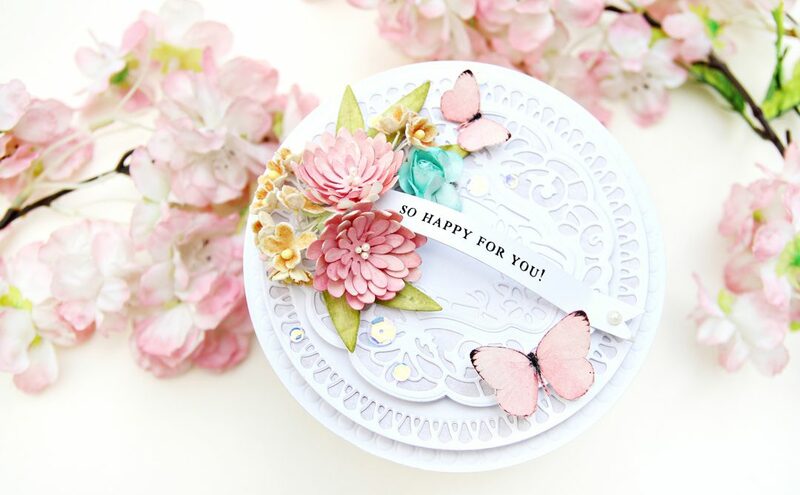 It’s an absolute joy to work with this collection – The die designs are so ingenious and make creating projects a breeze! I can’t wait to show you my projects using this collection. 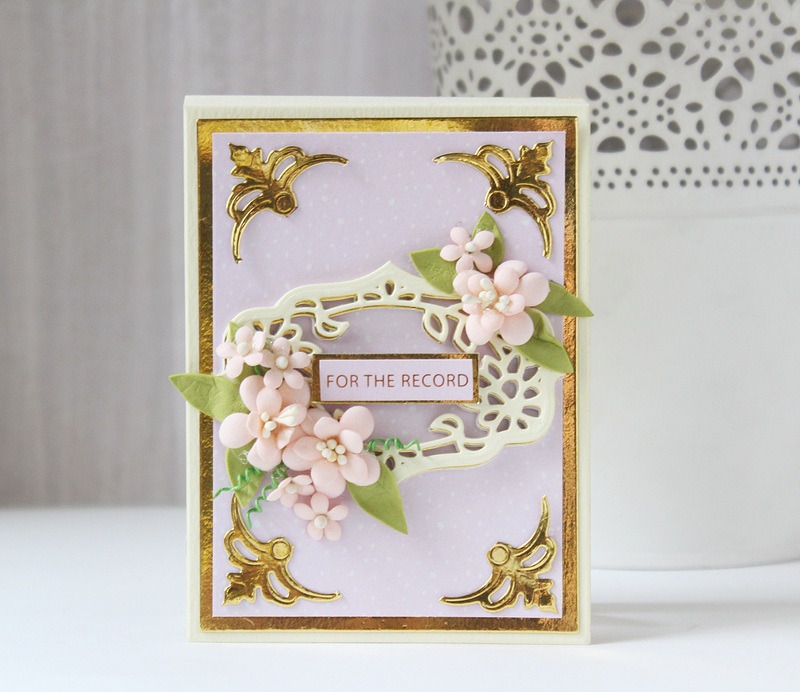 I love creating shaped cards, and when I saw these particular dies in the collection, I knew I had to make one! 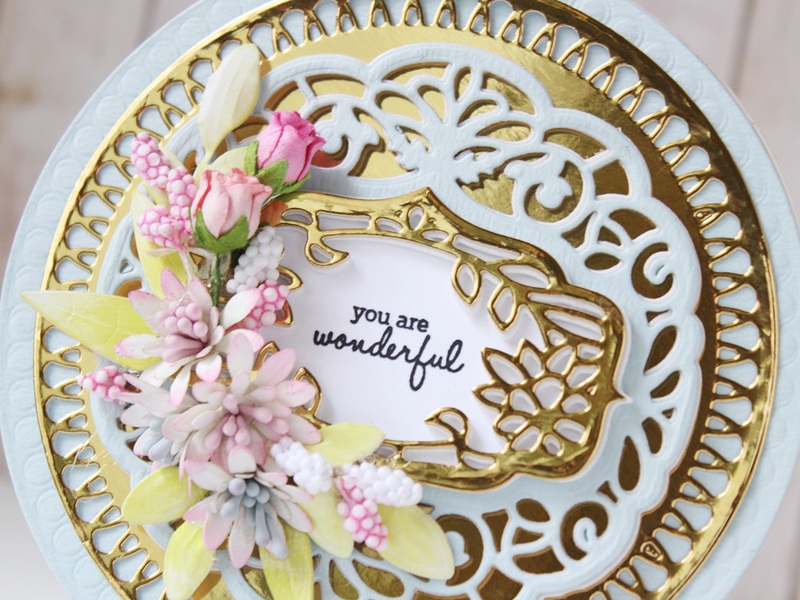 To create my card, I first die cut the large circle from the Tiffany Lavaliere Etched Dies. Next, I embossed the circle using the inner rim die from the same collection to give my card some dimension. Once that was done, I die cut the intricate circle die from the Brillante Rondelle Etched Dies using gold mirror cardstock. I layered this circle with another intricate die cut which was cut from pale blue textured cardstock, and then finally added the label pattern and label rim die cuts. 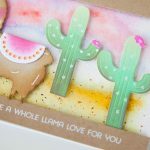 This card is all about layers and you may want to use a lesser number of die cuts if you don’t want it to become bulky. I stamped my sentiment in the center of the die cut and then started working on my embellishments. 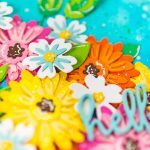 I used the Cinch and Go V Etched Dies to create my flowers and leaves. 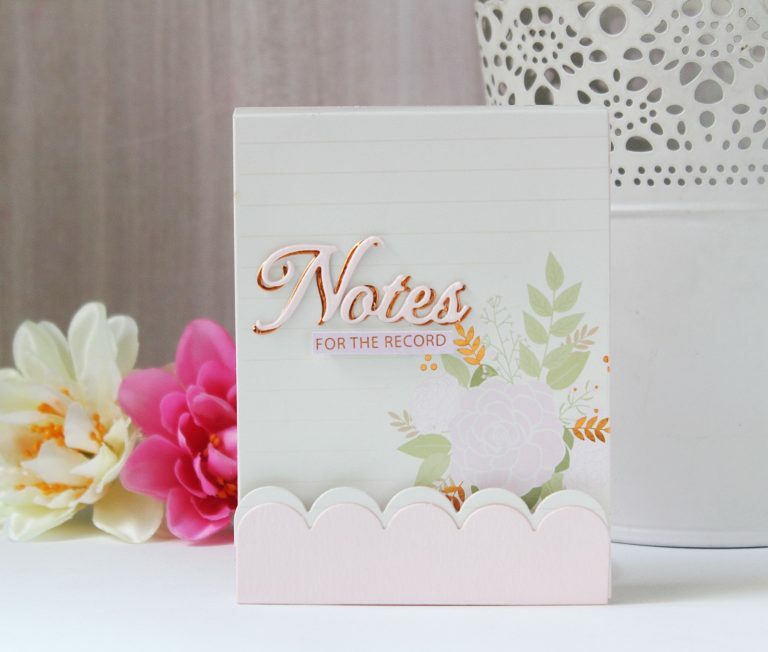 I die cut them from white cardstock and colored the tips of the flowers using light pink dye ink. Once that was done, I embossed them using Embossing Ball Tools and added pollens to the centers of the flowers. The leaves were also die cut from white cardstock and colored using green dye ink and slightly embossed. Here’s a closer look at the floral arrangement. 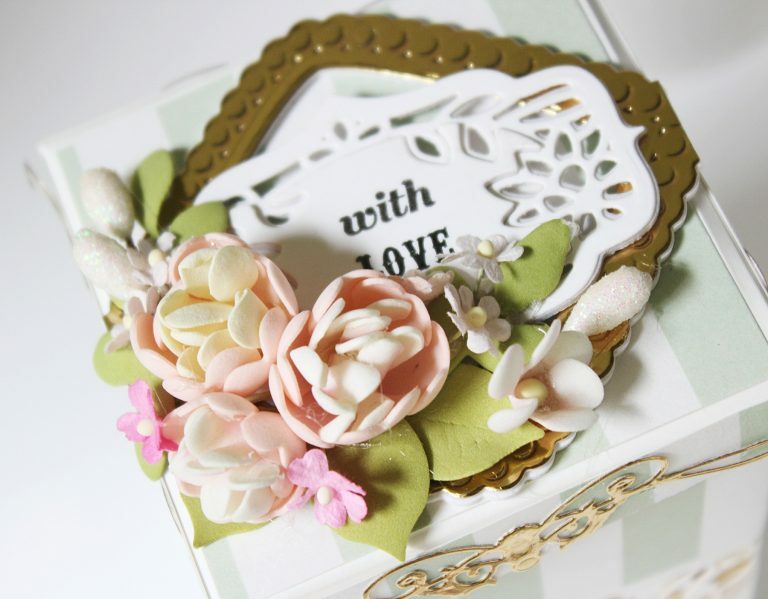 I also added some mulberry rose buds and filler flowers to compliment my handmade flowers. And here’s a look again at my finished card. And here’s how the sides of the box look like. 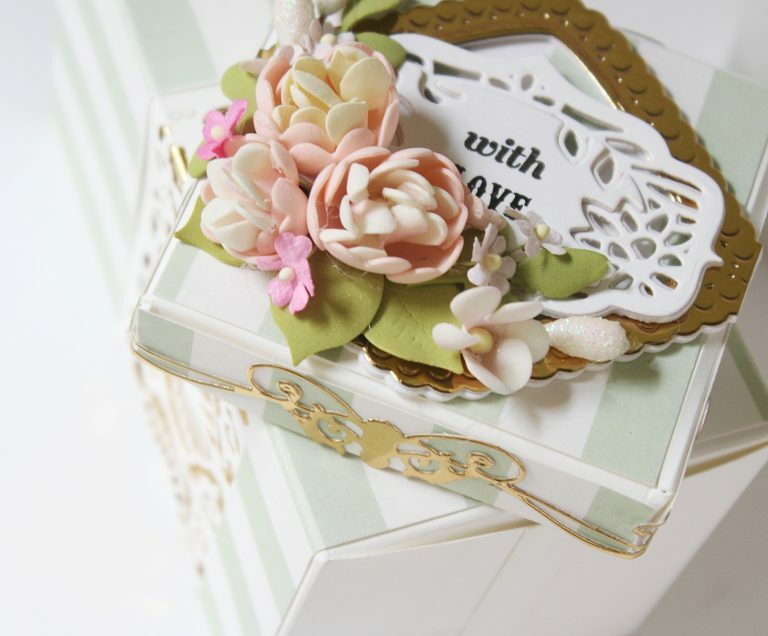 The gift box has quite a lot of space to include jewelry pieces, trinkets, chocolates, or even some special souvenirs in it. 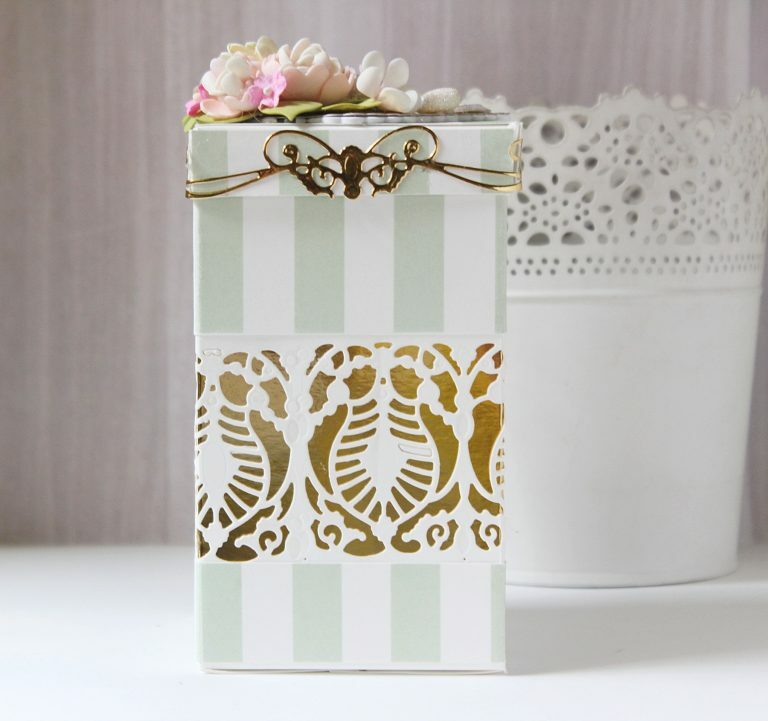 My third project is a lil’ Note Pad Holder made using the Adorned Notepad Etched Dies. 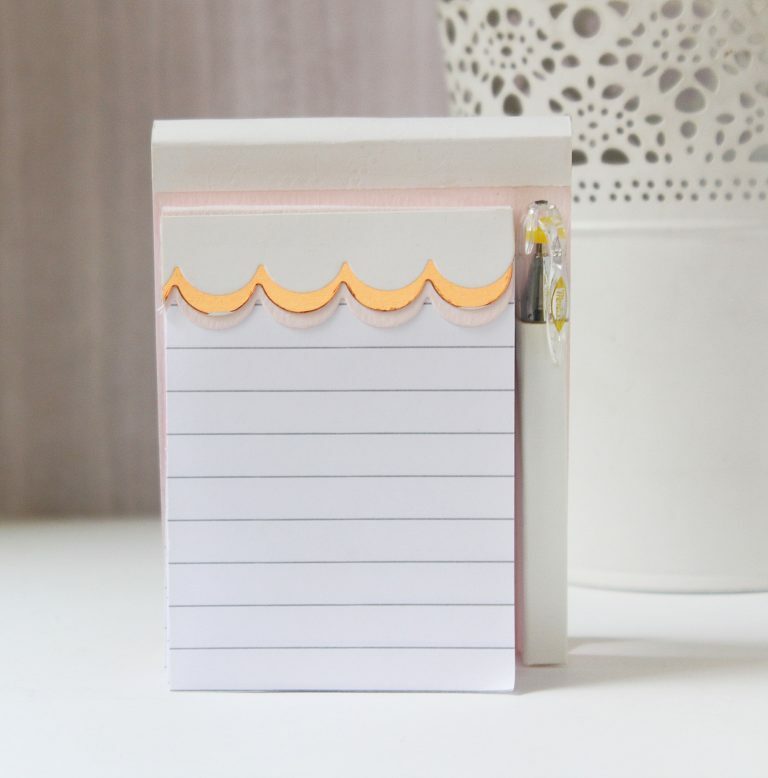 This is an ingenious die which allows you to create your very own notepad holders and is such a delight to work with! I wanted to keep the floral embellishments to a minimal and therefore only used the tiny flowers from the Adorned Notepad Etched Die Set. I die cut them from peach Foamiran sheets and added around four-five cream pollens to the centers. The leaves were hand cut from green Foamiran. 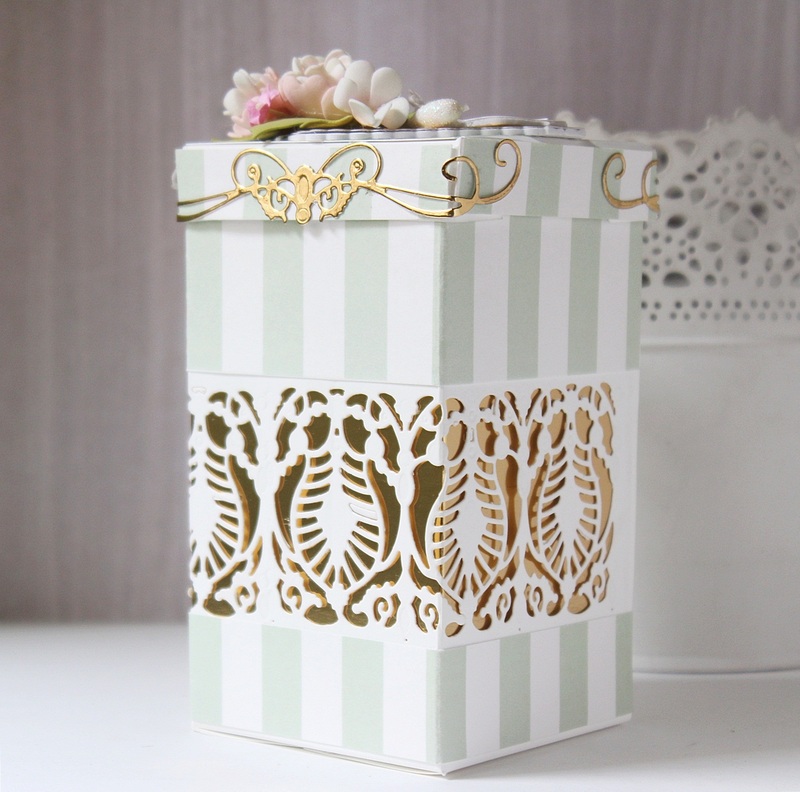 The four corners are die cut using the accent piece included in the Marquise Diamond Pendant Etched Dies. I split the accent piece in half so that I could use them as corners. 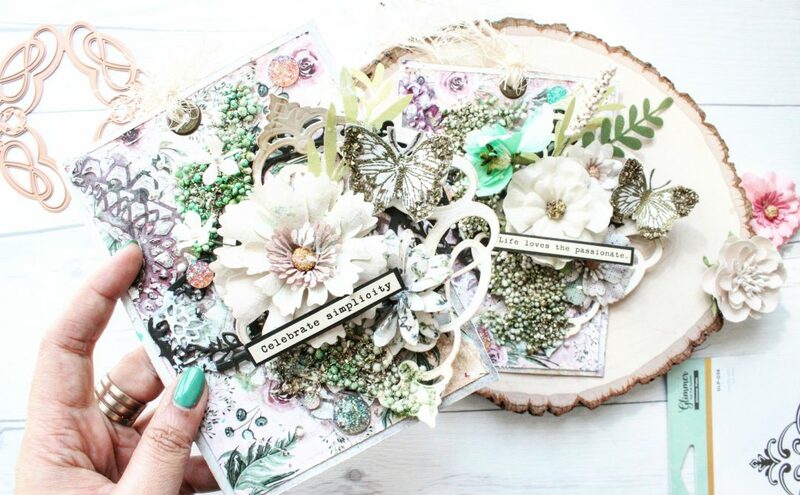 Another great way to get more out of your dies than their intended use! 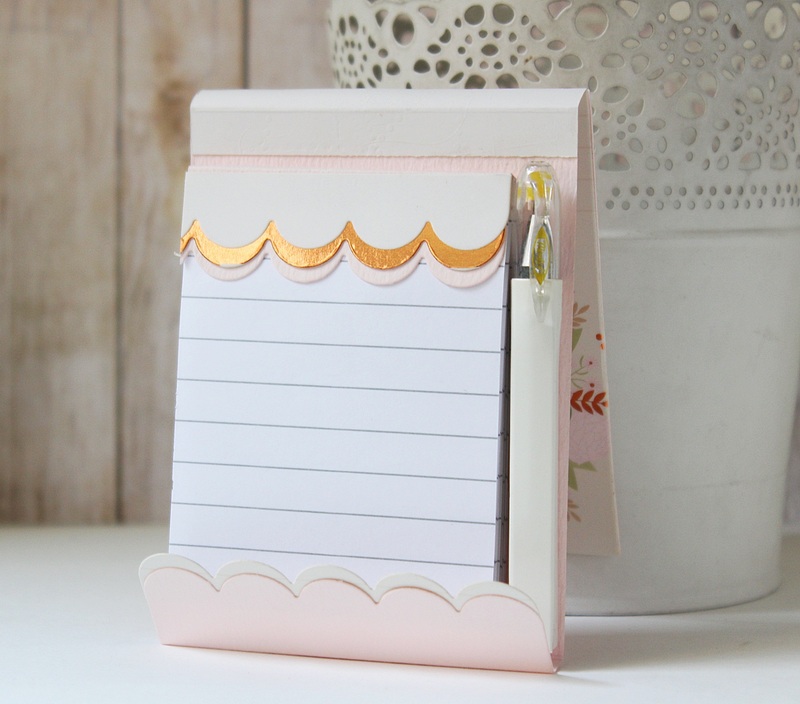 My fourth project is again another Notepad Holder. 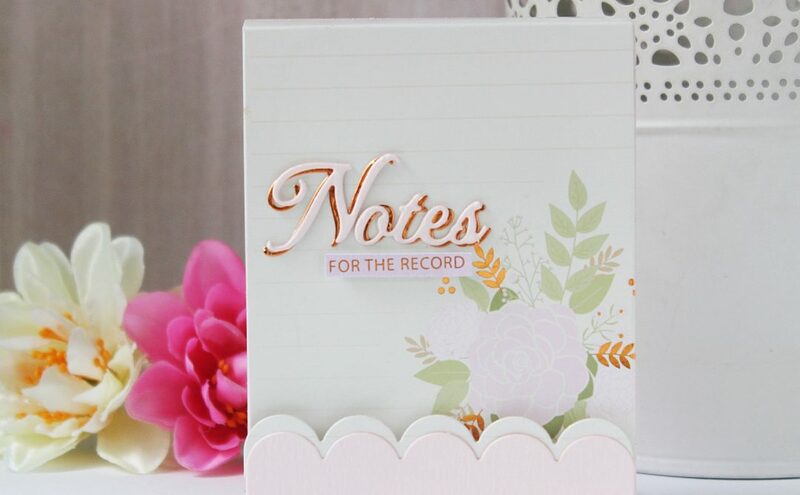 I am obsessed with this die set and have already made three different notepads using it so far! Trust me, this is really addictive and you won’t be able to stop at one. 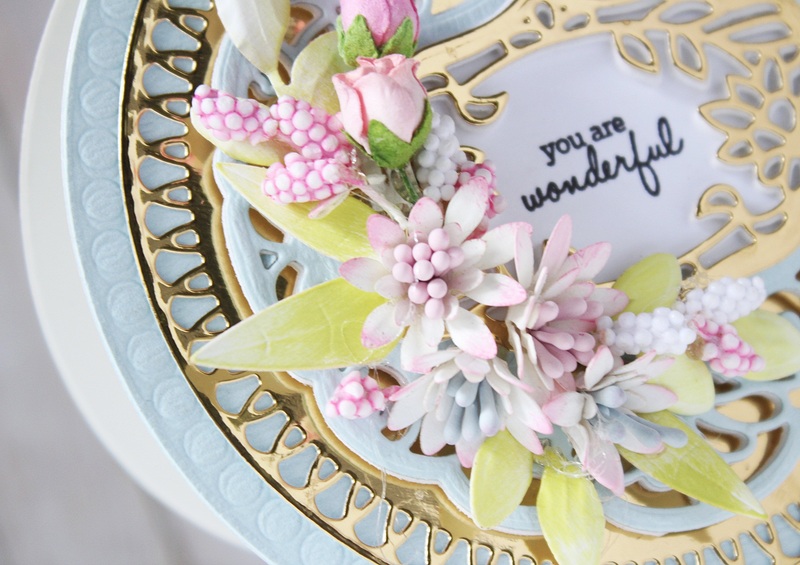 I kept the color tones for this project very soft and muted which is also my personal favorite! 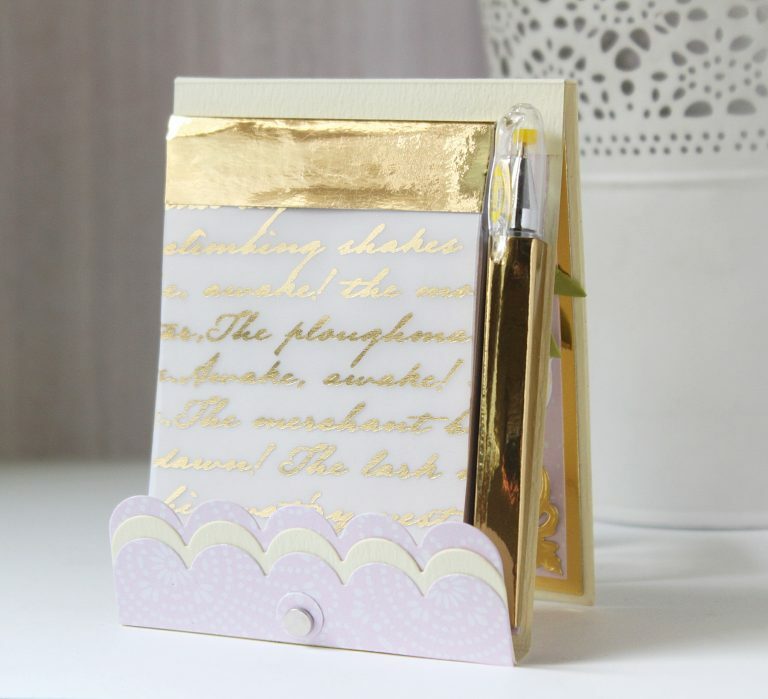 I used a gorgeous patterned paper to create the flap of the note pad holder. 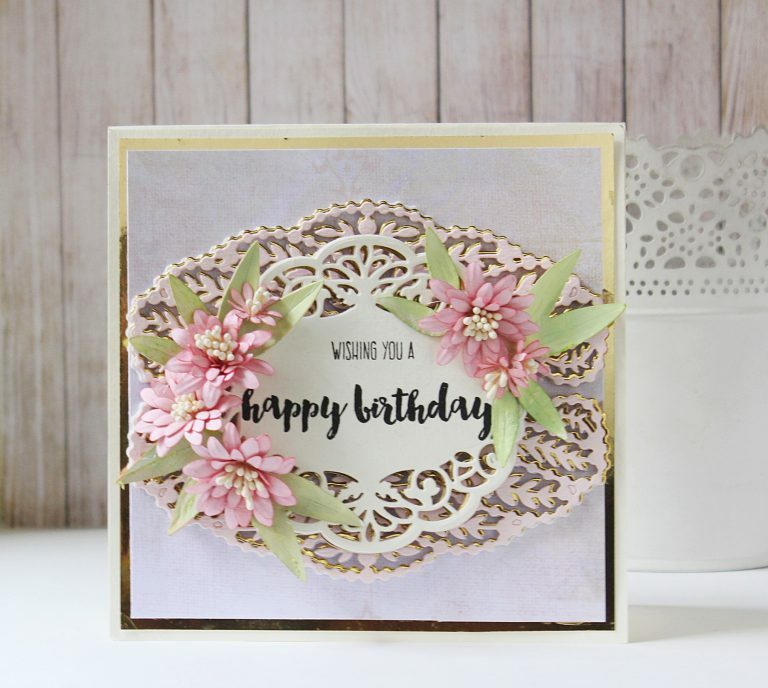 The patterned paper did all the work for me! 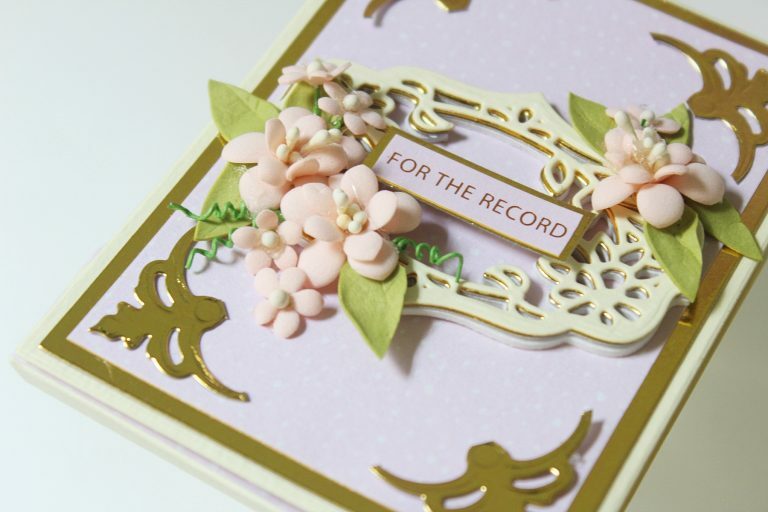 I just added the die cut word’ Notes’ and the sentiment sticker ‘For the Record’ to the notepad. 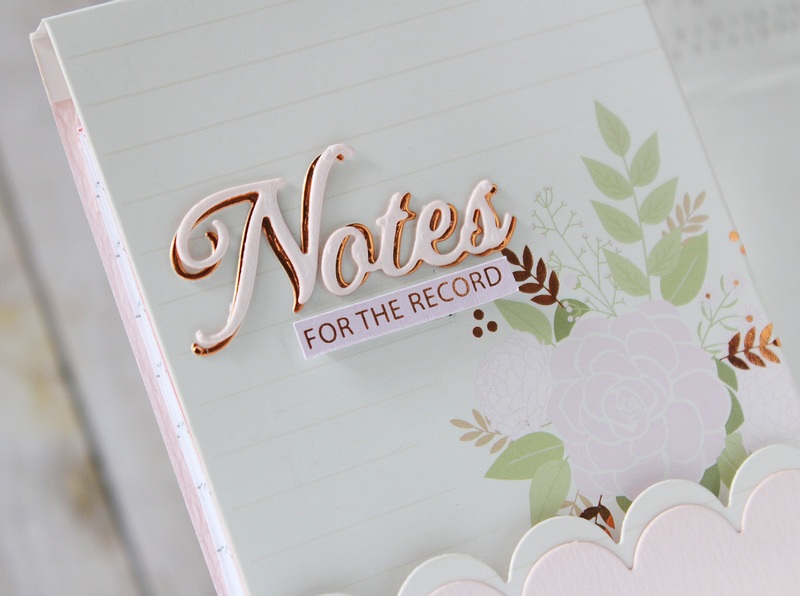 I die cut the word ‘Notes’ from pink and copper foil cardstock and slightly offset it. This word die is a part of the Adorned Notepad Etched Die Set. Here’s how the inside of the holder looks like. I have added small magnets for the closure of my notepad. You may leave it as is if you don’t want to use magnets. I know, the colors look pretty faded out in the picture, but it is not so in real life. I had a hard time capturing the real colors on this card. 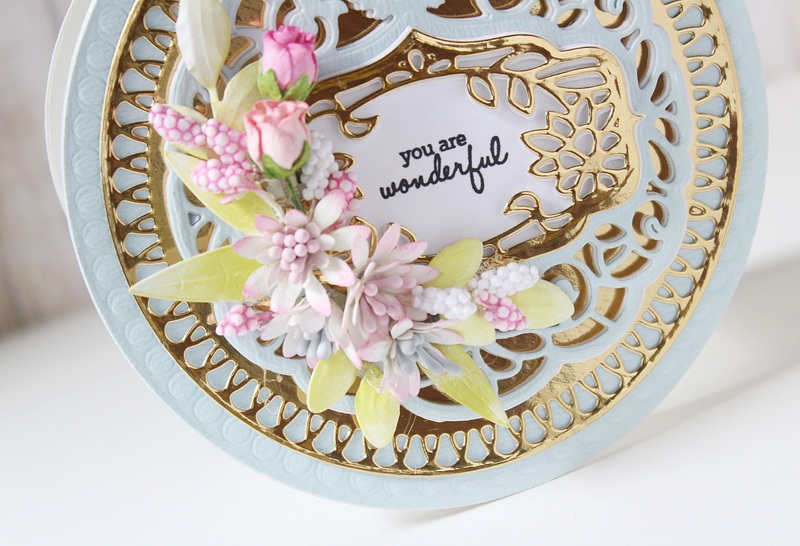 I used the intricate frame die from Brillante Rondelle Etched Dies to die cut the center piece from cream cardstock. Once that was done, I stamped my sentiment on it. I used a pretty bold font so that it would bring focus to the card center. 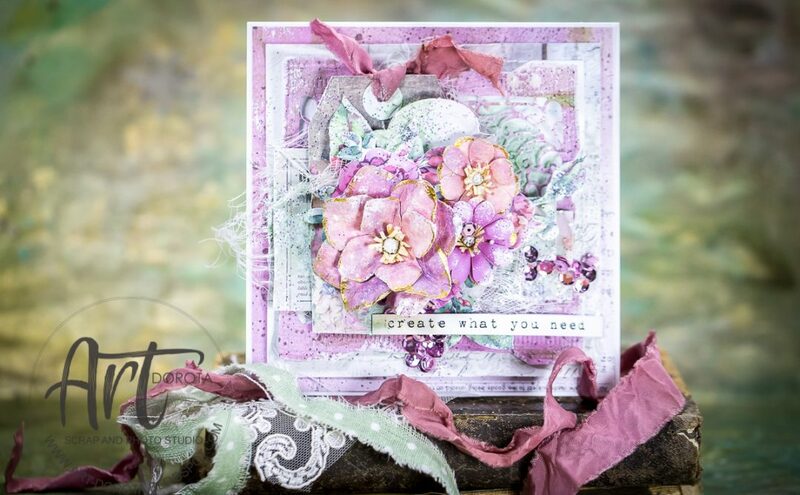 The flowers were made using the Cinch and Go V Etched Dies. 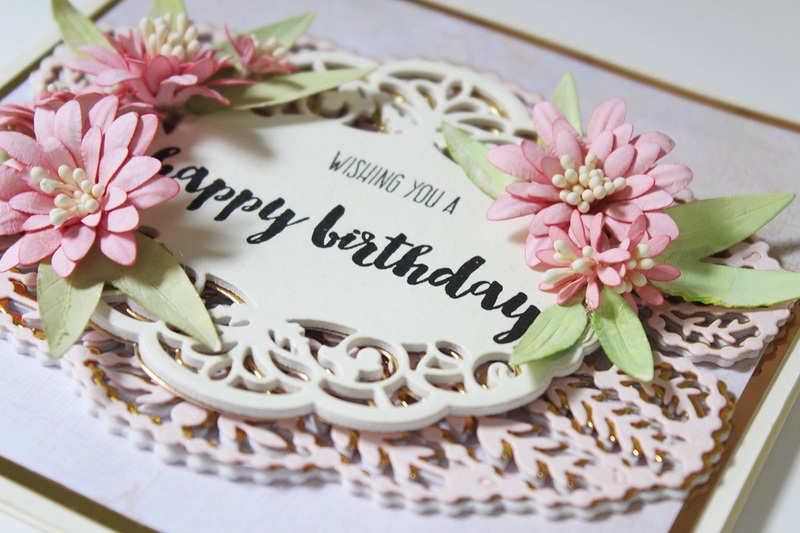 I die cut them from pink cardstock, lightly embossed and shaped them, and added pollens to the centers to give them a fuller look. The leaves were die cut using the leaf die included in this set. 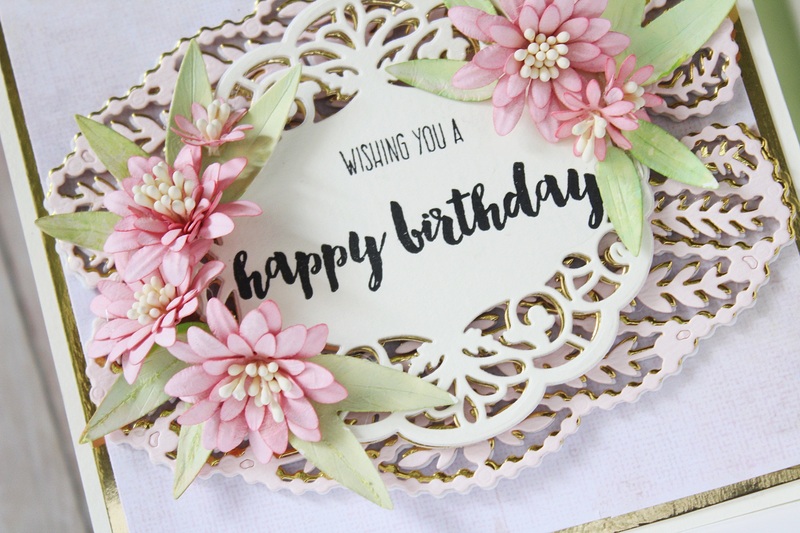 I did not add any flowers fillers on this card and kept it fairly simple. Neenah Solar White 110 LB cardstock, Cream Linen Textured 12 x 12 Cardstock, Pale Pink Textured Cardstock, Pale Blue Textured Cardstock, American Crafts Colored 12×12 cardstock, Gold Mirror Cardstock, White Fun Foam; Adhesive: Scrapbook Adhesives 3D Foam Squares, Tombow Mono Multi Liquid Glue, Double Sided Foam Tape, Glue Gun; Stamps: Fun Stampers Journey Inside & Out Stamp Set, Altenew Faithful Feather Stamp Set; Foamiran Sheets (Light Yellow, Peach, Green, and Pink), McGill Inc. Paper Blossoms Tool kit, Pollens, Micro Rose Buds, Filler Flowers. If you managed to bear with me till the end of this post, thank you! I hope you liked my creations. If you did, please let me know which one is your favorite! 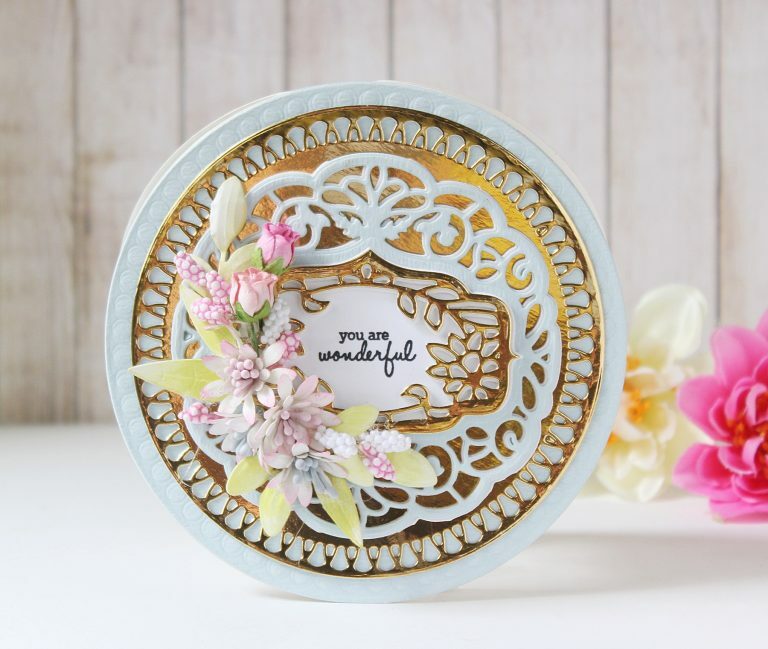 🙂 To see more of my work with Spellbinders products, do visit me on my Instagram or Blog. These cards are just stunning, I can’t imagine how hard it would be to die cut the card stock and then adhere it to the same shape over foam. How is that accomplished? Also what is foamirin sheets? how do you make the pollens? How would you mail them? do your build a protector of some kind. Or just mail in a box. They are so beautiful. Do you have a blog that we can watch on u tube? Thank you for sharing your talents with us. You have certainly raised the bar on card making.